You want to win as many bids as possible. 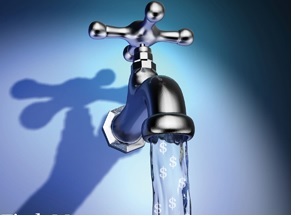 But there are over 70,000 separate water and wastewater utilities in America, and it would cost you a fortune to have your own employees collect all of the available bids. That’s where H2bid comes in! Our staff of trained water and wastewater bid experts collects bids from these different sources and makes them available to you on our easy-to-use website and in convenient email subscriptions. 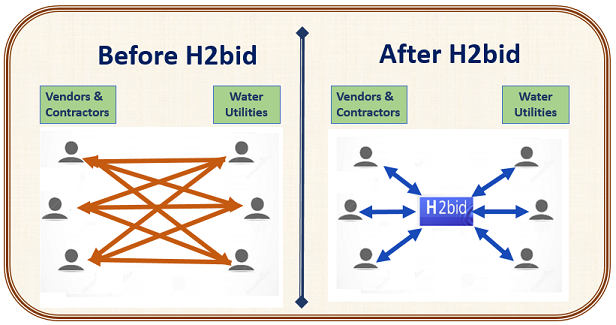 H2bid has more water and wastewater utility bids than any other source, to help you win more contracts and make more money! Access to detailed bid specifications when they are made publicly available by the utility. H2bid delivers the complete available details regarding each bid or tender. The procurement notice consists of details of the Issuing Authority, with contact details, such as name, mailing address, phone, fax, and email. We also provide you with any pdf documents (i.e., plans, specifications, planholder lists, etc.) that were made available to the public by the Issuing Authority – saving you time and providing you with the information necessary to prepare a winning bid response. At H2bid, we take pride in having built the easiest to use, most comprehensive bid information system available to the water and wastewater utility market. But sometimes our users need some personal assistance and we strive to make that easy by being available via phone at (619) 736-0120, via chat on our website, or via email at info@h2bid.com.